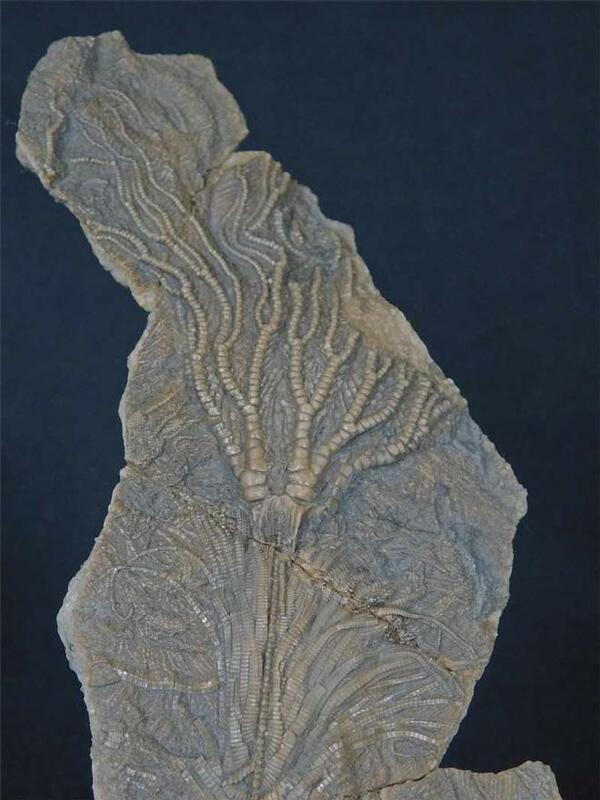 Specimens of fossil crinoids are becoming scarce on the Jurassic coast. 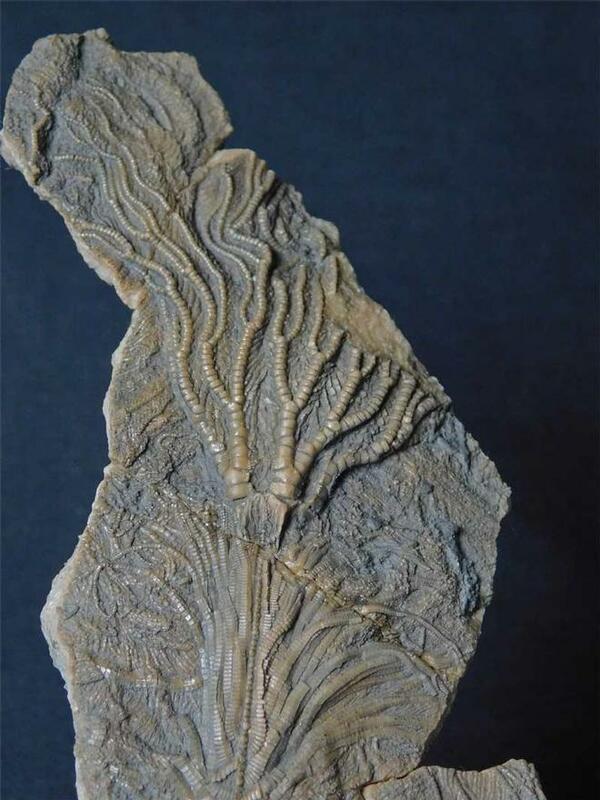 This particular specimen has been broken and repaired, as is quite often the case with these crinoids. 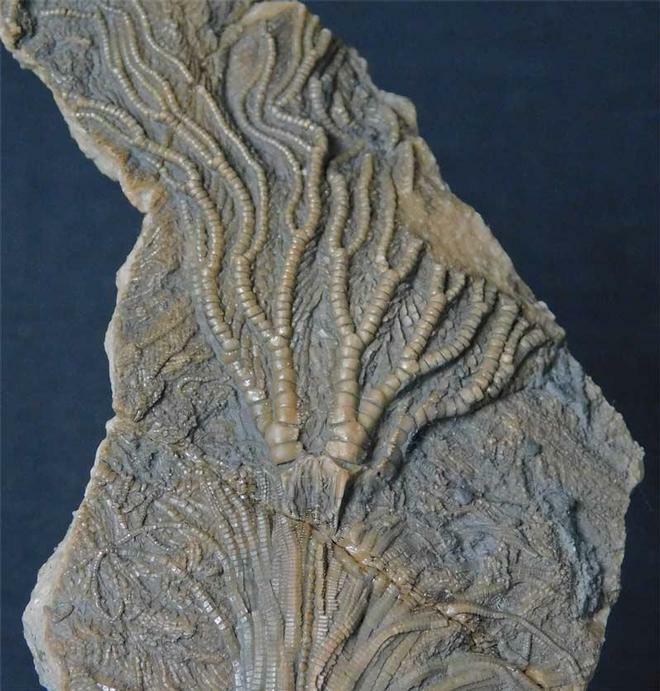 The specimen has a partial crown and a wonderful stem with exquisitely detailed cirri. 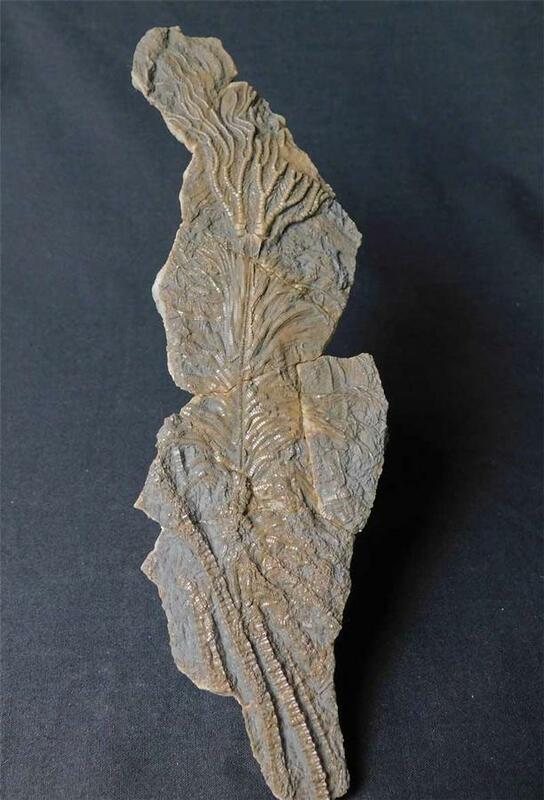 A fine specimen from this world famous classic locality.